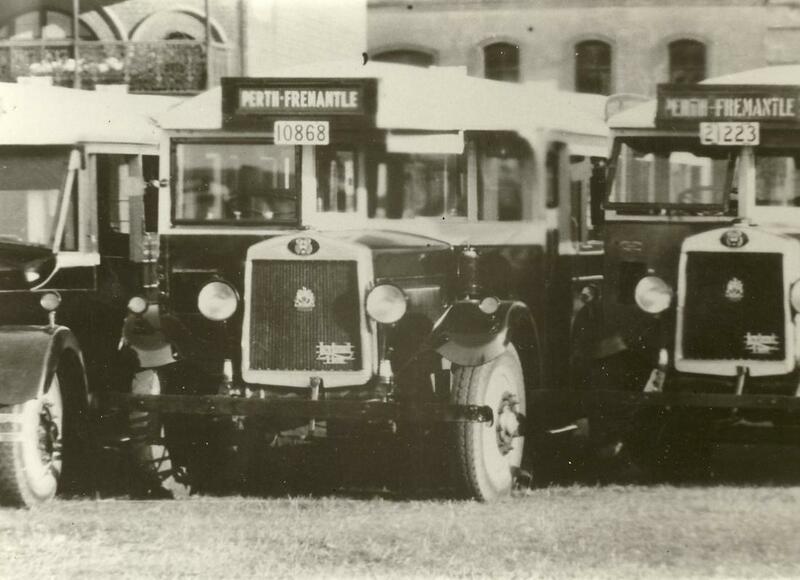 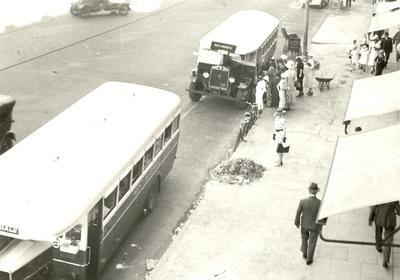 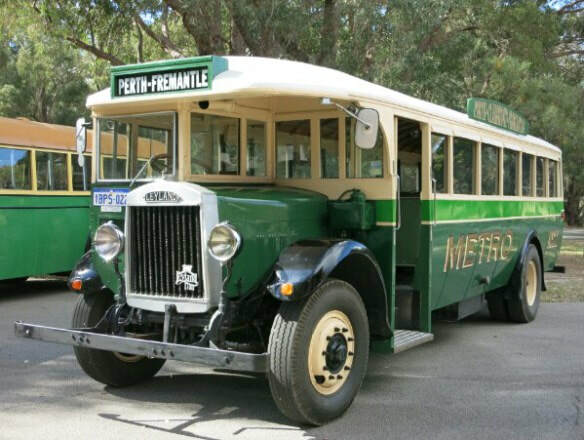 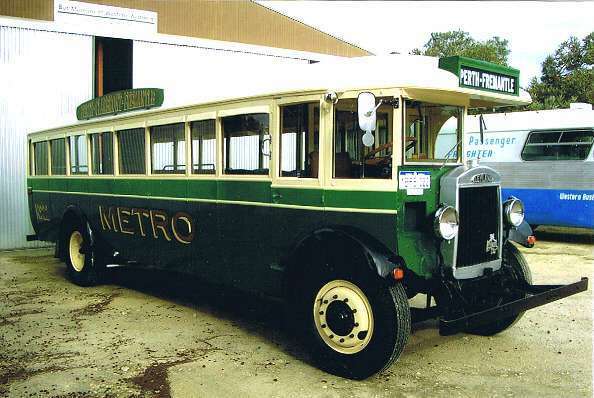 Metro 22 was delivered new to the Metropolitan Omnibus Company (Metro) of Fremantle on 28th June 1929 and remained in service until December 1953 when it was sold to the Central Norseman Gold Corporation. 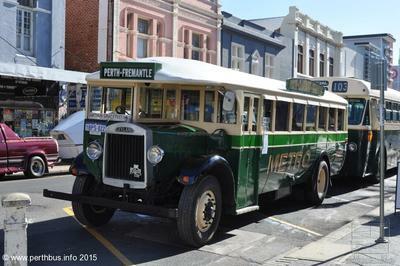 Metro operated an intensive bus service between Perth and Fremantle which was the route this bus would have been used on for many years. 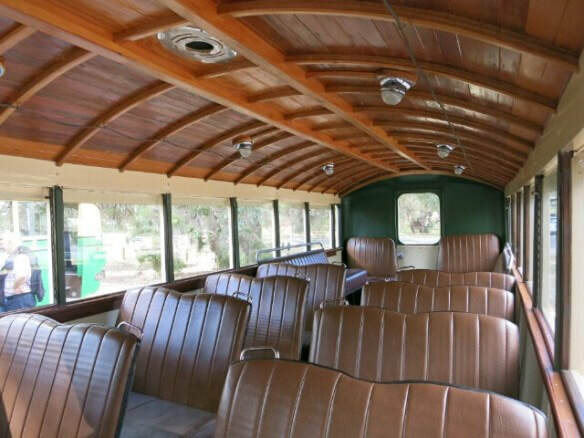 It was acquired for preservation from a property in Southern Cross in 1974 and has been fully restored by the members of the Bus Preservation Society of W.A. 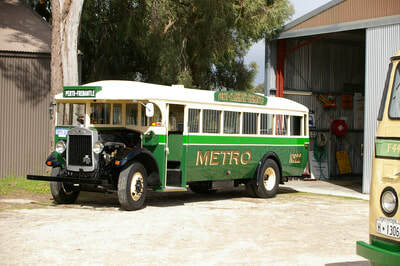 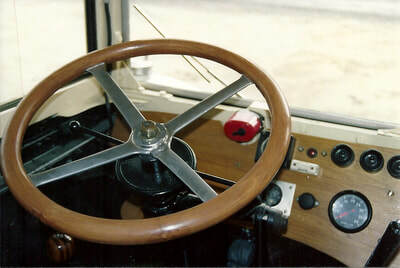 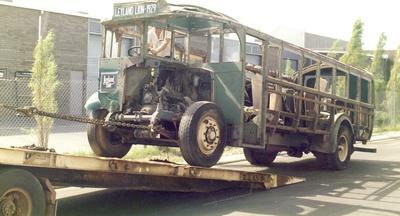 Parts from sister bus Metro 24 including its petrol engine were used to complete the restoration. 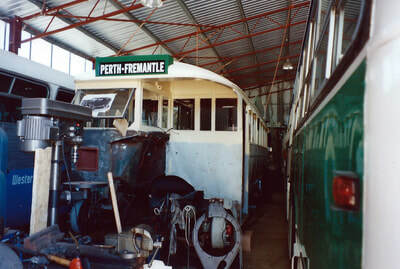 Restoration was completed in 2005. The bus is registered for road use and is regularly used around Whiteman Park and at community events around Perth and Fremantle. 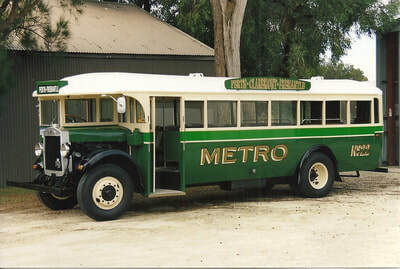 Manufacturer: Leyland Motor Co., Lancashire, U.K.
Engine: Four cylinder petrol 5.11 litre, 65 bhp. Transmission: Four Speed sliding mesh gearbox (Often called a constant mesh gearbox). Construction: Wood Framed and canvas covered slatted wood roof with steel panels below window level. The 'Grande Olde Dame' Metro 22, the 1929 Leyland Lion, has an overheating problem which the Society Mechanics are working to overcome, but its not easy given the need to preserve the bus as near as possible to its original state. 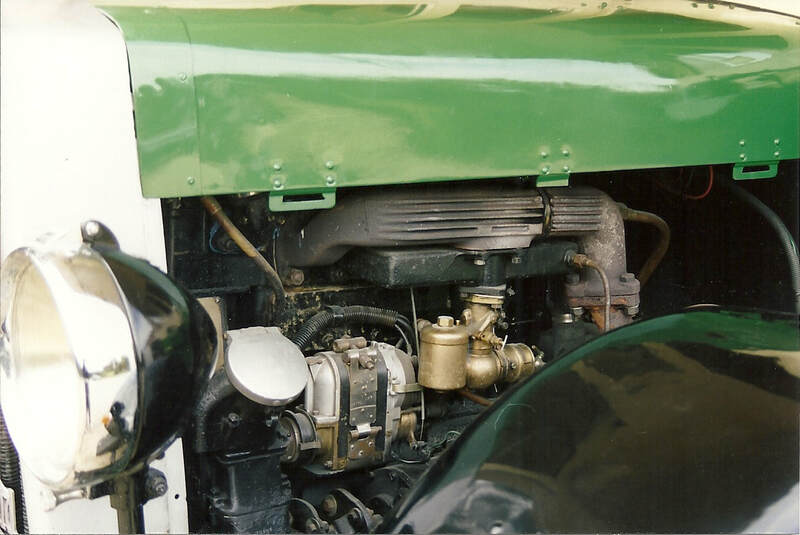 A solution being considered is to add another radiator to the engine cooling system, but where to locate it and how should it be fitted? 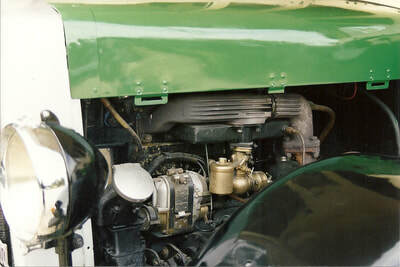 In the meantime a look at the radiator shows that each pipe from the header tank to the reservoir at the bottom is covered with many small round 'washers' fastened to each pipe throughout its length. Glen Boorn tells the story of our President at the time Cameron Bell, sitting in front of the 'telly' for hours on end pressing out the washers which were later fixed to the piping in a workshop. 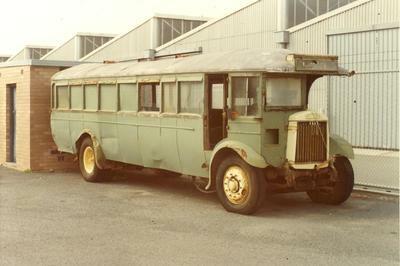 These were to make up the increased surface area required to cool the water as it passed through the connecting pipes from the header tank to the bottom reservoir. 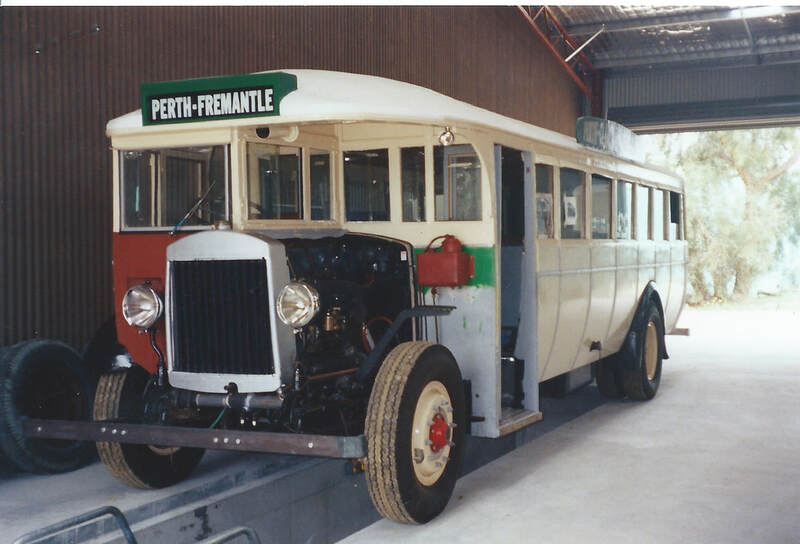 Truly a labour of love ensuring the radiator (which couldn't be sourced from any where else) was repaired and refurbished in the manner used to build the radiator back in the 1920's. 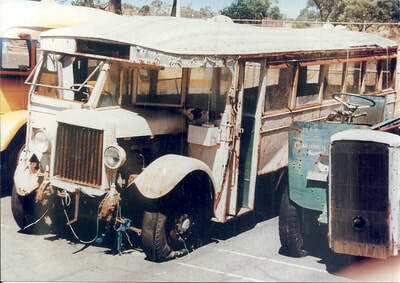 While suitable for use in a cold Britain, this radiator design (and materials) has proved to be inadequate for an Australian summer.